MyOrthoLab - Experts in Orthodontics GmbH offers a professional service. MyOrthoLab - Experts in Orthodontics GmbH takes interrelating factors into account. 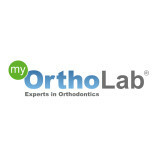 MyOrthoLab - Experts in Orthodontics GmbH provides customized care and treatment.